I love me some Microsoft keyboards - for my money their layout and key designs beat Logitech any day. 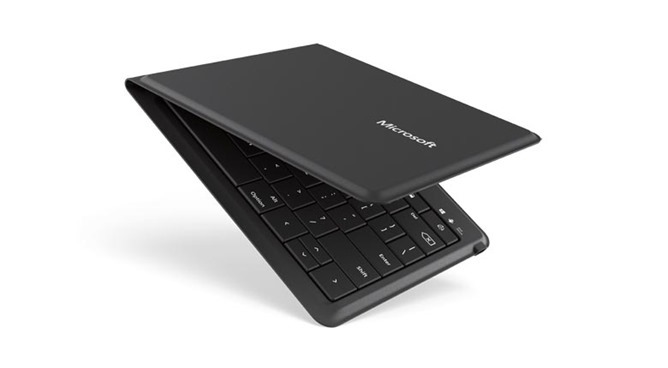 The company's latest entry into the mobile accessory market is a Bluetooth keyboard designed to be as tiny and compact as possible, folding lengthways into a rough square just 5.8 inches across and less than half an inch thick, about the same size as a CD case. 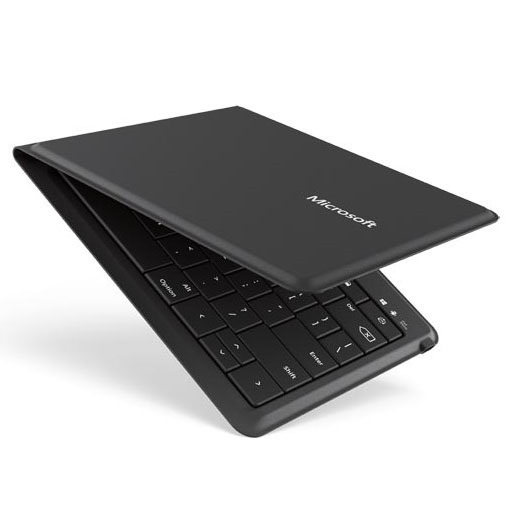 Fold it open and you've got a full six-row keyboard ready to be paired with a phone, tablet, or even a full desktop computer, and Microsoft claims that the Universal Foldable Keyboard is made with Android, iOS, and Windows in mind. 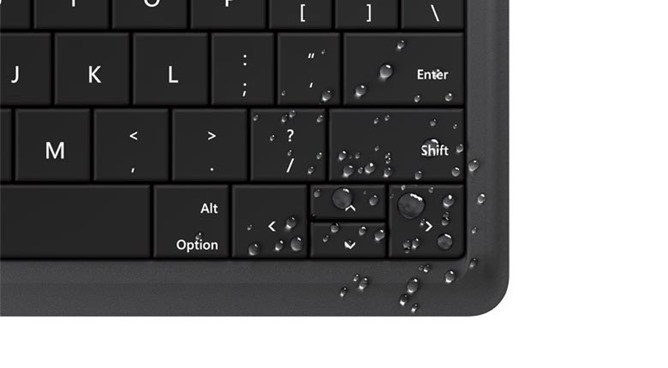 The keyboard is now on sale in Microsoft's online store, and will soon be showing up on the shelves of the usual retail suspects. It costs $99.99, pricey even in the somewhat nebulous arena of Bluetooth keyboards, and $20 more expensive than the standard Universal Mobile Keyboard and the Wedge Mobile Keyboard. But you're paying for ultra-portability here: in addition to the foldable design, the gadget can be recharged with the same MicroUSB charger as your phone, and it's at least partially resistant to spills. The keyboard can be paired to two devices simultaneously and switch between them with a function key. 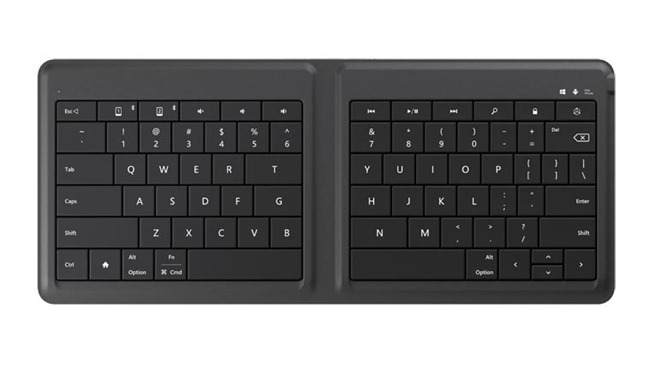 The Universal Foldable Keyboard looks a lot like a slightly more compact version of Microsoft's Surface keyboard covers. Does all that add up to $100? You'll have to be the judge of that yourself. For business travelers and those customers who want the thinnest and lightest setup possible, it's certainly an attractive proposition.